Welcome to “Electronic Literature & Its Emerging Forms.” This website accompanies a three-day exhibit curated by Drs. Dene Grigar & Kathi Inman Berens, held at the Library of Congress as part of its Electronic Literature Showcase, from April 3rd to 5th, 2013. 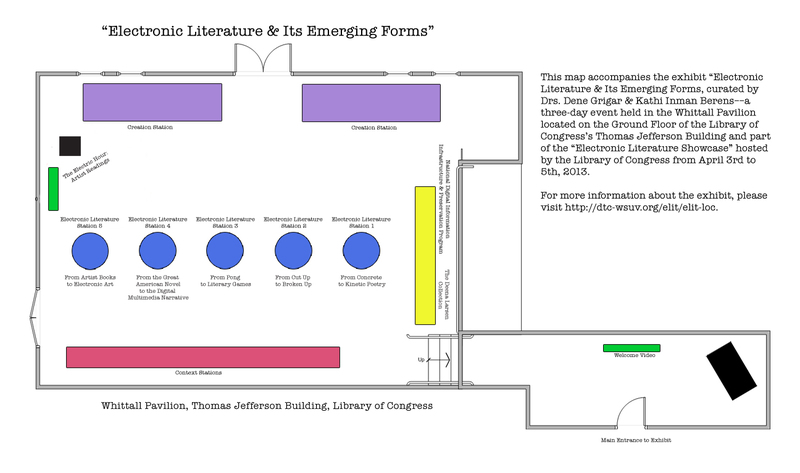 The exhibit features 27 works of electronic literature by American authors, relevant printed works from the Library of Congress collections, readings by select authors featured in the exhibit, and hands-on creation stations––all part of the Electronic Literature Showcase that also includes an exhibit of rare books, a keynote address, and a panel discussion about electronic literature. All events are free and open to the public.